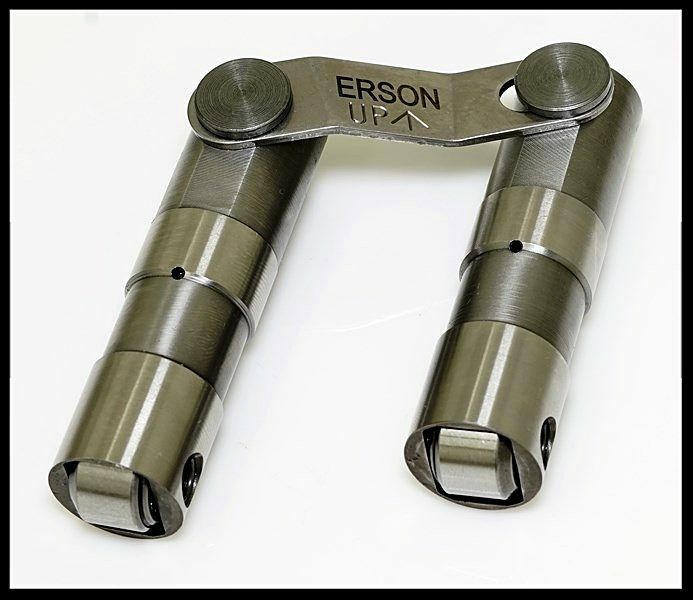 HOWARDS or PBM ERSON RETRO STYLE HYDRAULIC ROLLER LIFTERS FOR USE IN BBC BIG BLOCK CHEVY ENGINES. These lifters are made by Morel in the USA. You may recieve them under the label of Howards or PBM Erson depending on availability. Both are identical and made by Morel Lifter company. RETRO STYLE HYDRAULIC ROLLER LIFTERS FOR BBC BIG BLOCK CHEVY ENGINES. You will receive one full set of lifters, enough to complete one engine build, (8 pair) These lifters are made by Morel for many cam companies. There is no difference between the Howards label and the PBM Erson label. The pictures below are file photos. Actual appearance may vary. The picture above is an SBC pair of lifters and the ones below are of a pair of bbc lifters. The tie bar on bbc lifters is offset. As mentioned these are labeled under the Howards name or the Erson name. Both are identical and made by Morel. This ad is for the bbc lifters and you will receive the lifters with the offset tie bar as pictured below. These lifters are designed for bbc engine blocks, later or early style, as well as aftermarket blocks such as Dart, World or GM Bowtie series. The retro style refers to the fact that these will work in early style blocks that never used roller lifters as well as blocks that did use roller lifters. These are to be used with hydraulic roller camshafts. 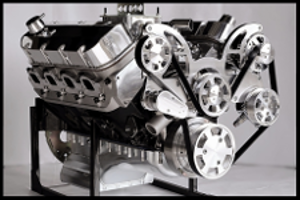 We have extensive experience with these lifters in our engine program. Howards brand roller lifters are premium quality. Made in the USA Rated for up to 6500 rpm. These are the type lifters used in all of our street/strip engines. 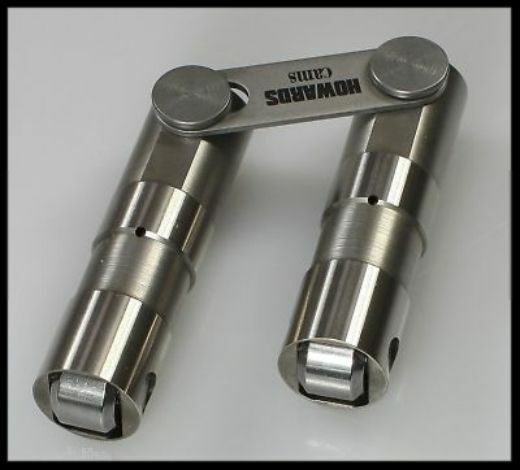 Howards Cams and PBM Erson Street series retrofit hydraulic roller lifters are designed by Morel for street performance enthusiasts who want to upgrade to a hydraulic roller camshaft. They are manufactured to fit early or late model blocks, including blocks with tall lifter bosses. These use cold form technology to shape their bodies for durability. The lifters are then carbonitrided and tempered for hardness. They also feature hardened and tempered steel alloy roller wheels, heat-treated stainless steel cross bars, and high-alloy steel tie bar buttons. These street series retrofit hydraulic roller lifters are made in the USA by Morel and are specifically designed for street applications up to 6,500 rpm.